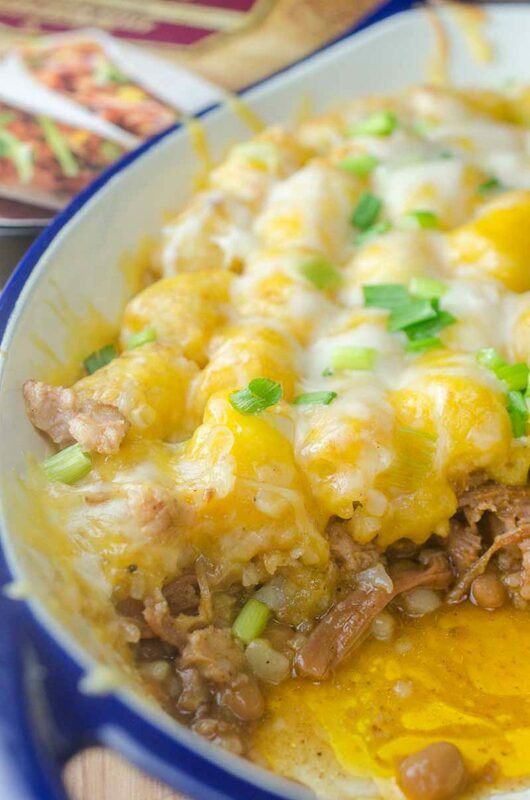 Quick and easy Pulled Pork Tater Tot Casserole is loaded with baked beans, pulled pork and two cheeses. This casserole is perfect for busy weeknights. 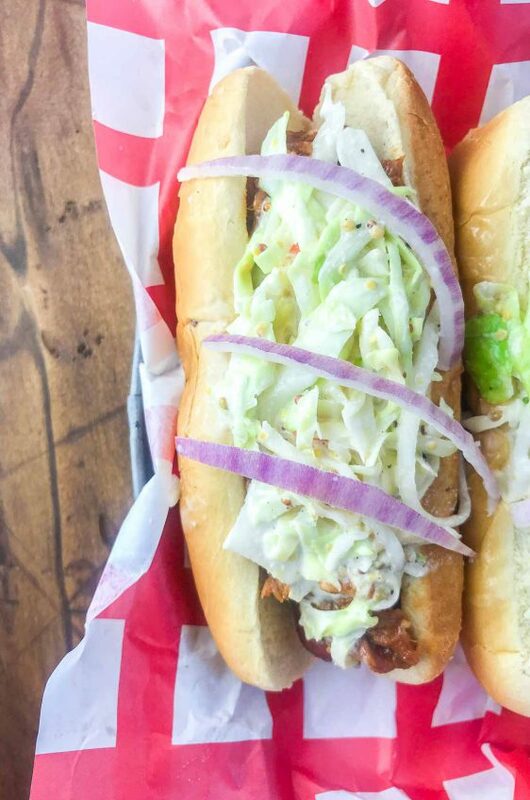 Disclosure: Curly’s RoadTrip Eats has sponsored this post. We are grateful for our sponsors as they allow us to bring you delicious free content every week. Who else is crazy busy this time of year? Christmas is rapidly approaching. School is winding down before winter break. There is shopping to do and cookies to bake. There are Christmas parties to host and to attend. Basically, we are busy busy busy. Despite the fact that we are so busy, I , like most of you, need to get dinner on the table. And I need to do it quickly. That is where casseroles come in handy. 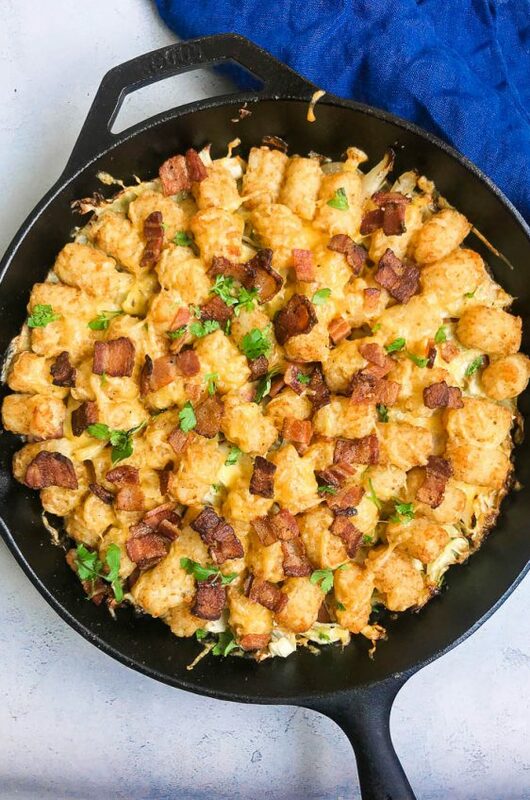 This Pulled Pork Tater Tot Casserole is particularly easy because I use Curly’s RoadTrip Eats Alabama Style Pulled Pork Belly that you can find in the refrigerated section of your local grocery store. The pork belly is sweet and smoky and oh so tender. I have used it to make tacos, eggrolls and now tater tot casserole. I always like finding out the history behind certain dishes. Where did it come from? What is traditional? 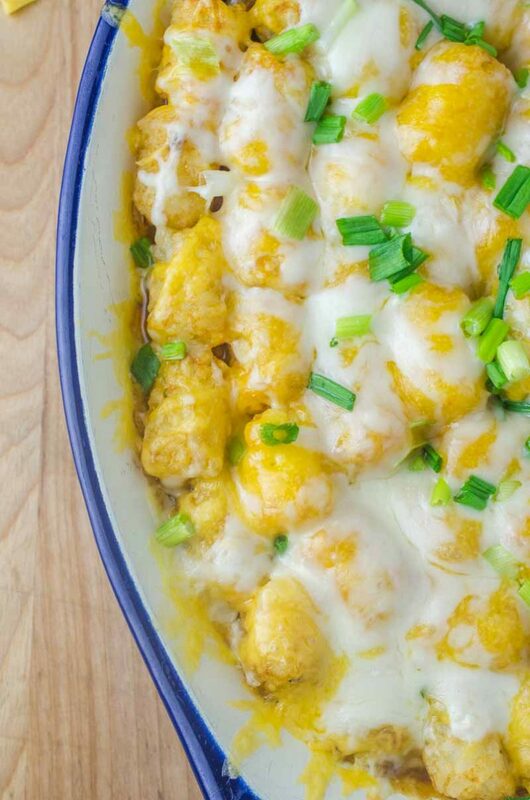 Also known as “hot dish”, tater tot casserole is popular in the midwest. 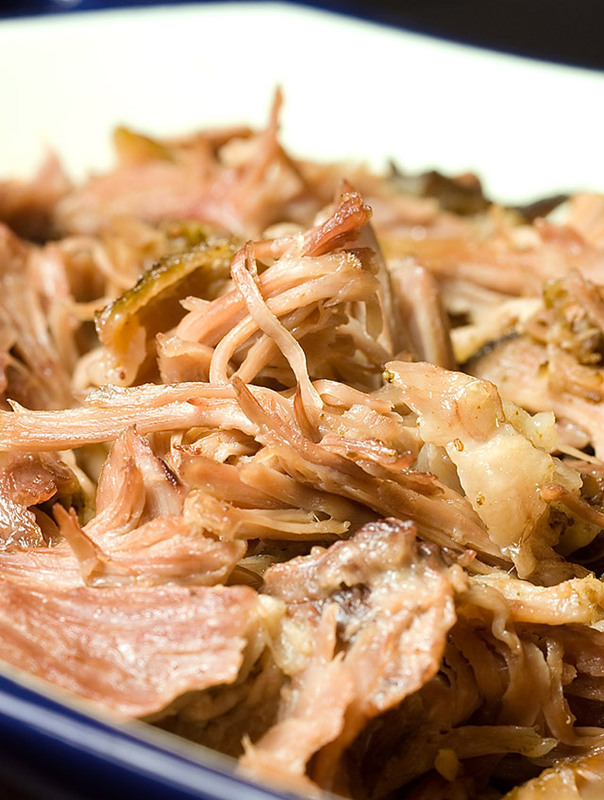 It’s popular dish to bring to potlucks because it is always a crowd pleaser. What is in tater tot casserole? That is the wonderful thing. There are SO many ways to make this classic dish. One search on google and you’ll see that there are endless variations. Most often a mixture of meat, veggies and canned soup is topped with a starch. And each one is bound to be a crowd pleaser. I mean, it is topped with tater tots after all. I always top them with cheese too. Because cheese. Over the years, I have experienced with many different variations myself. I’ve made Andouille Tater Tot Casserole, Chorizo Tater Tot Casserole and Pizza Tater Tot Casserole. This Pulled Pork Tater Tot Casserole is my latest creation. 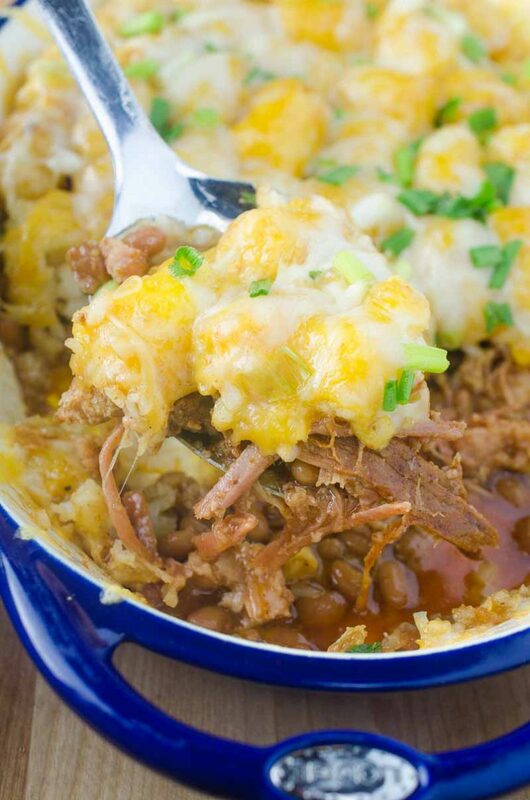 This casserole has a layer of baked beans, pulled pork, tater tots, two kinds of cheese and diced green onions. 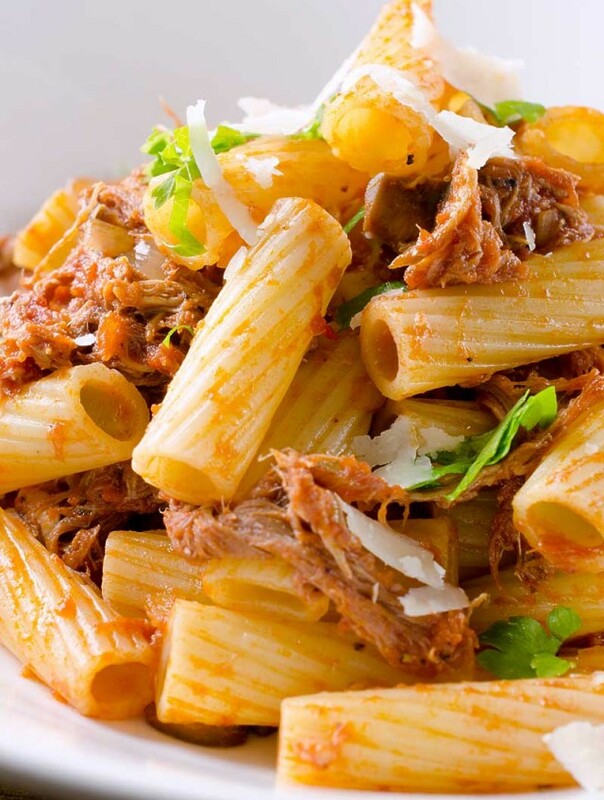 Not to mention, it is quick and easy so it is perfect for busy weeknight dinners. The kids also loved it. And that is always a win in my book. If you are hungry for even more recipes using the entire delectable line from Curly’s visit Roadtripeats.com/videos to find videos featuring Curly’s Chef Clara. But first! The video below shows you just how easy casserole is to make. In a 2 quart casserole dish, layer baked beans, Curly’s Pulled Pork Belly and tater tots. Bake in preheated oven for 15 minutes. Remove from oven and top with cheddar cheese, mozzarella cheese and green onions. Bake for 5 - 10 more minutes or until cheese is melted and edges are bubbly. Serve. Wow this looks so gooooood! 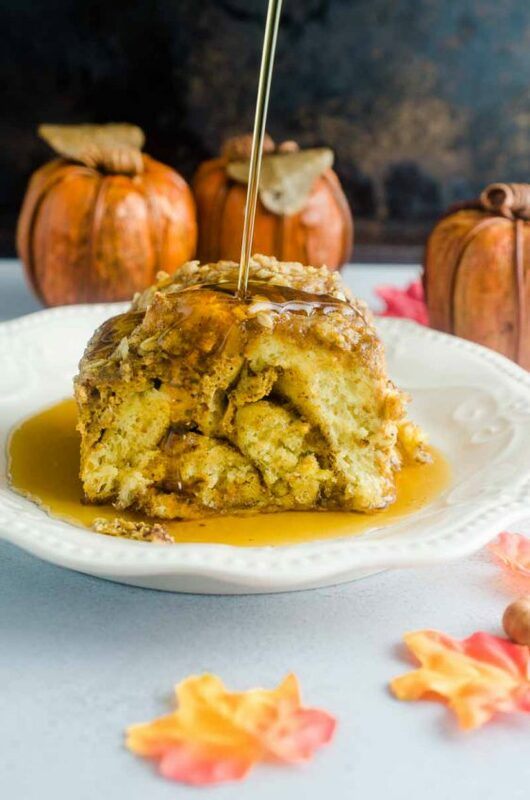 Such a wonderful breakfast idea! This is such a fun and easy dinner idea! My family would seriously devour this! It looks awesome! Comfort food this tasty is not usually so quick and easy. Love it! I have such a weakness for Tater Tots! 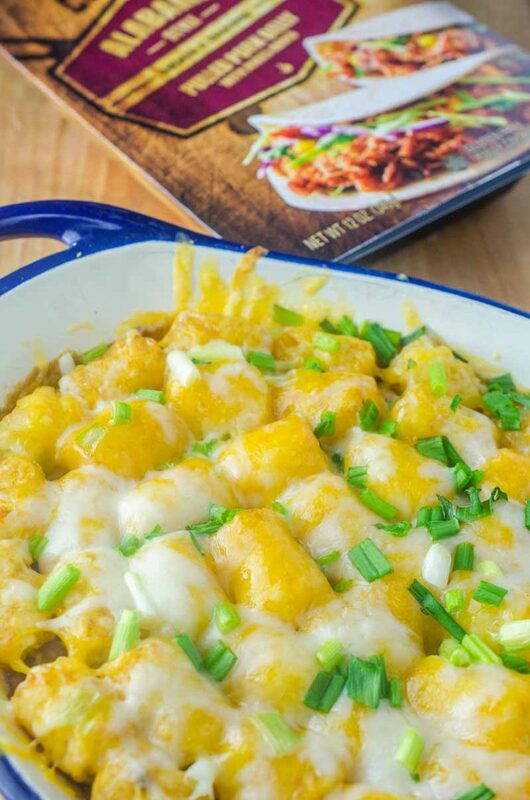 This casserole looks heavenly! 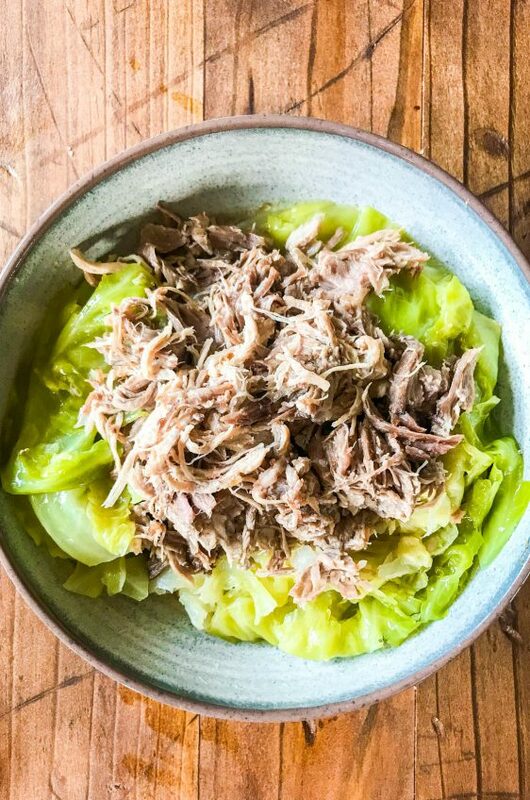 I never thought to use pulled pork like this… genius!! This is a creative and tasty dish! My family will dig into this! Oh i love how this would serve a crowd! This is quickly going to become a family favorite! Love how easy this is to make! !